Tags, Cards, and Advent Calendars—Oh My! Gift-giving is about more than just getting the perfect gift for someone. It’s about showing someone you care. That’s why we’re big fans of pairing gifts with handmade cards or tags—they show those you love that you took time to make their gift extra special. We know the holiday season can get busy, so we’ve made handmade easy with our Cut Above™ card and tag kits. These kits require no measuring or cutting. 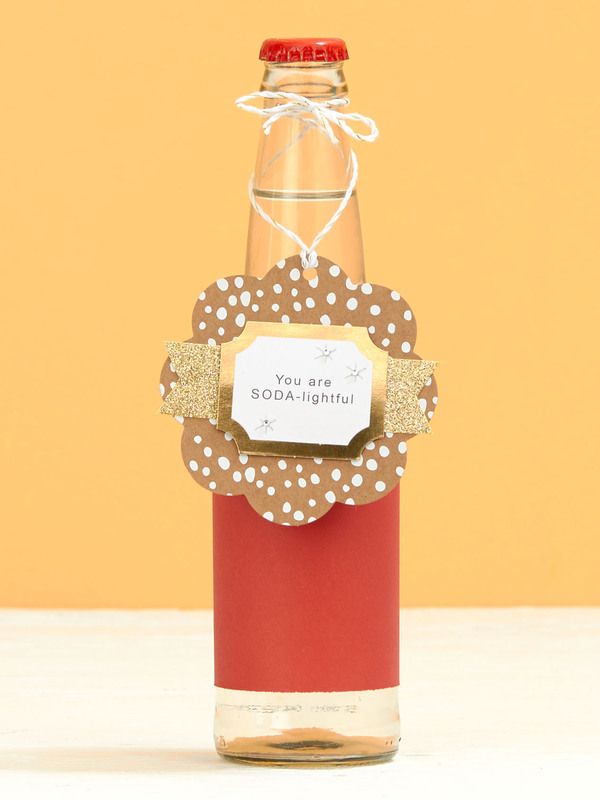 You simply stamp on a holiday sentiment of your choice and then follow instructions for attaching the pieces together. Of course, like any of our kits, you can also take the artwork in any direction you like! 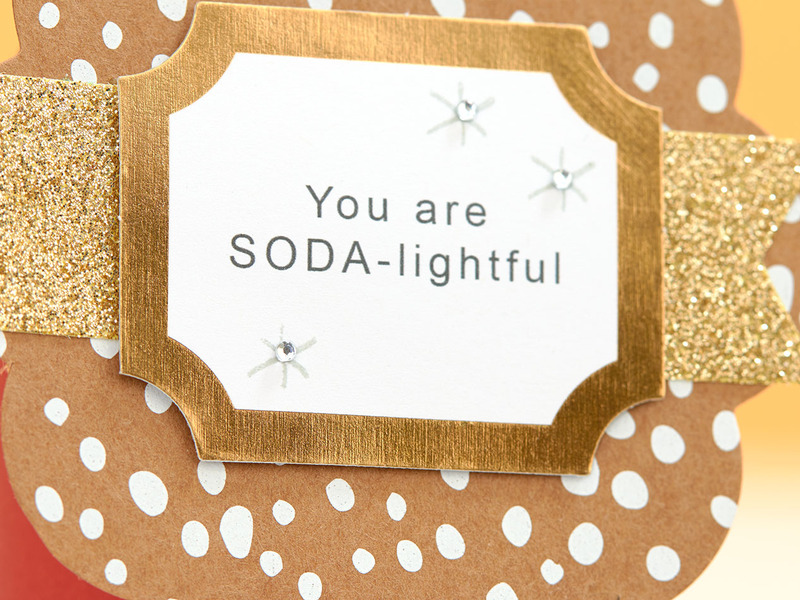 Here we typed a “punny” message to play off of our gift. We also added some grey stars and sparkles to personalize it even more! And since our Art Studio is just brimming with creativity, they had a lot of fun creating this advent calendar using some leftover card and tag pieces. To create the calendar, the artists added the card and tag pieces to envelopes that were cut using our Cricut® Artbooking collection. 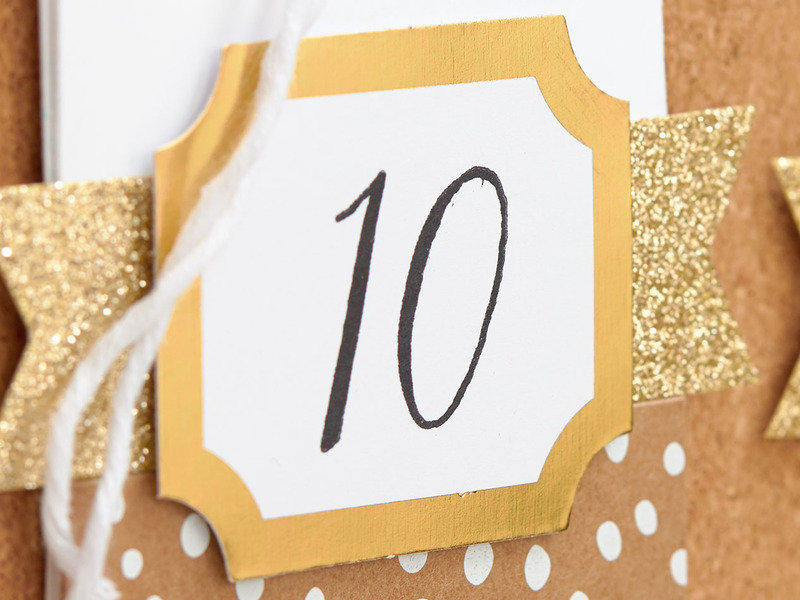 Using our My Acrylix® Inked Alphabet stamp set, they added numbers to the gold foil accent pieces. Isn’t it amazing what some scraps of paper and a little creativity can create? 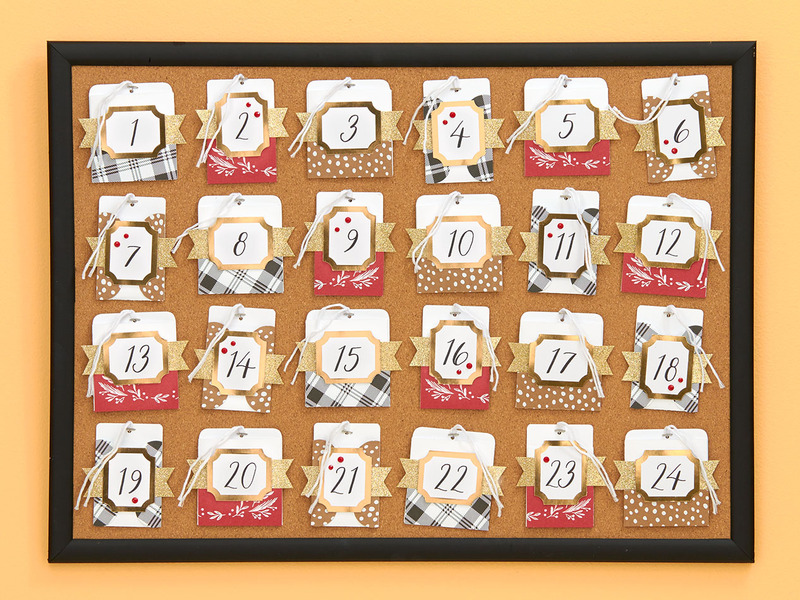 This advent calendar really shows how truly beautiful the patterns, shapes, and textures of the Cut Above™ holiday kits are, but of course you could create it with any holiday paper scraps you have. Make this holiday special by adding your own personal touch with our Cut Above™ holiday card and tag kits. We know you’ll love giving something handmade!